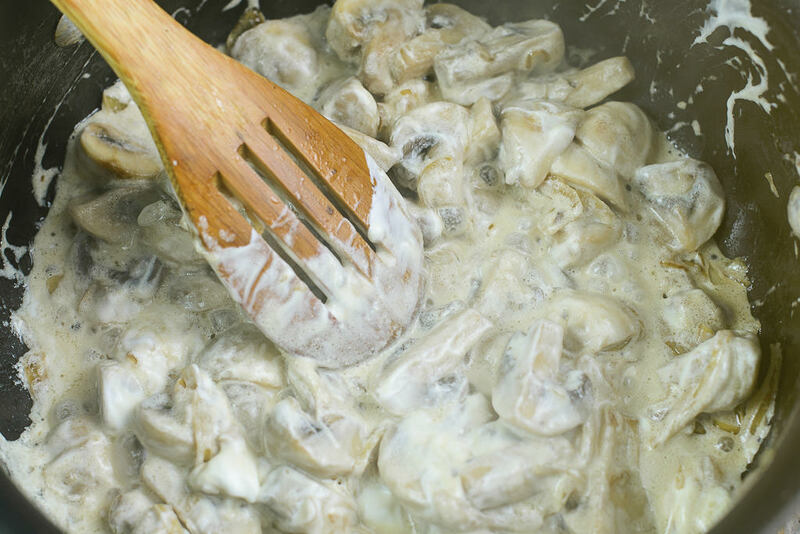 This creamy mushroom recipe is a delight to cook and even a bigger delight to devour. The caramelized onions give it a tender touch of sweetness and sour cream gives it desired richness. 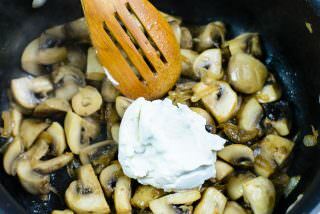 This recipe of mine hasn’t changed in years and one of our most favorite ways to cook up mushrooms which we either pick in season or purchase in the store. 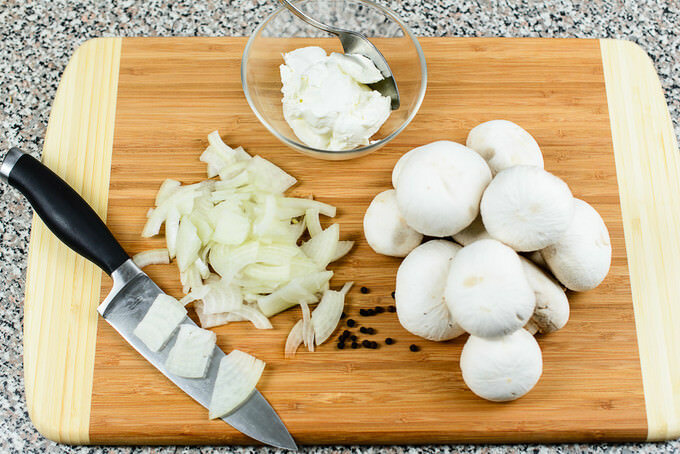 You can pretty much use any mushrooms for this recipe and I am sure paired with some pasta, it will go equally well. Since it is an easy peasy recipe, I hope you will make it soon and let me know how it turned out. 1 lb. fresh mushrooms of your choice. I am using button mushrooms today. 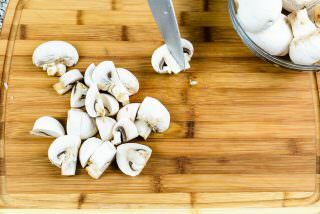 Cut fresh mushrooms into four, quartering them in smaller slices. Slice a small onion in half moon slices. 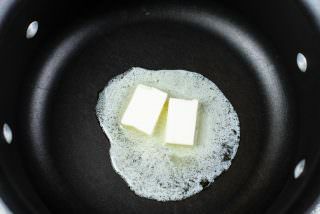 Toss 2.5 oz unsalted butter into a medium-size saute pan and melt it over medium heat. 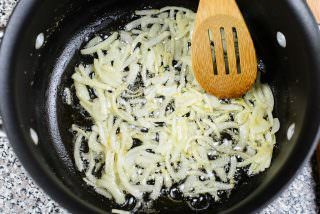 Saute onion until translucent or until they turn slightly golden brown. 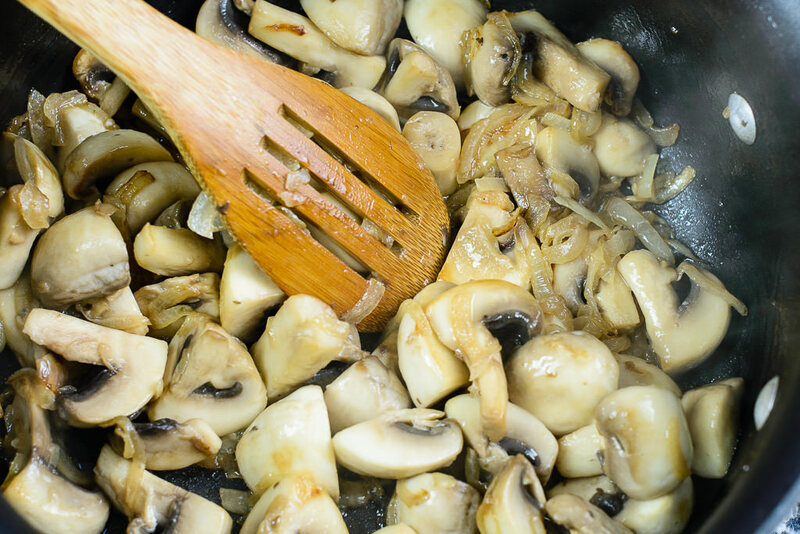 At this point increase the heat to medium-high, add mushrooms into the pan, add 1/2 tsp. salt, 1/8 tsp. black pepper and saute everything until the moisture leaves the mushrooms and mushrooms start turning ever so slightly golden. 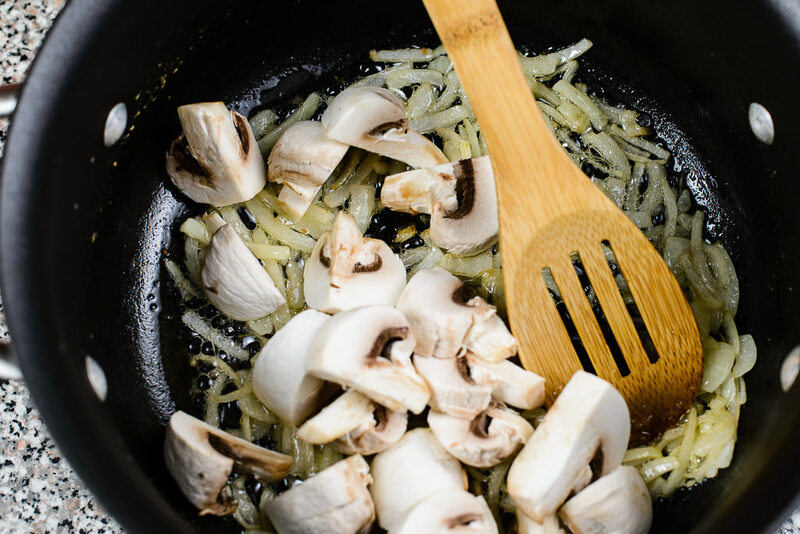 You will notice a nice sizzle coming from under the mushrooms. Try not to overcook them. Add 1/3 cup sour cream, stir everything together, lower the heat to low and close the lid. Cook 5-10 more minutes. Enjoy! That’s pretty much it. If you feel like you want to add a little more seasonings than I have listed, be my guest. 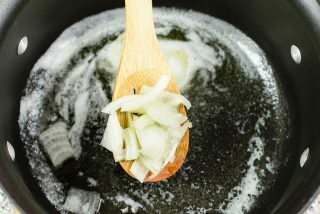 Experimentation and adaptation in the kitchen is the pathway to success in your own journey of cooking! ‘I dont see a contact button ..but can you please please make borsh? =] I have already tried the beef stroganoff…manti…plov…and meatball soup recipe and absolutely love your recipes! 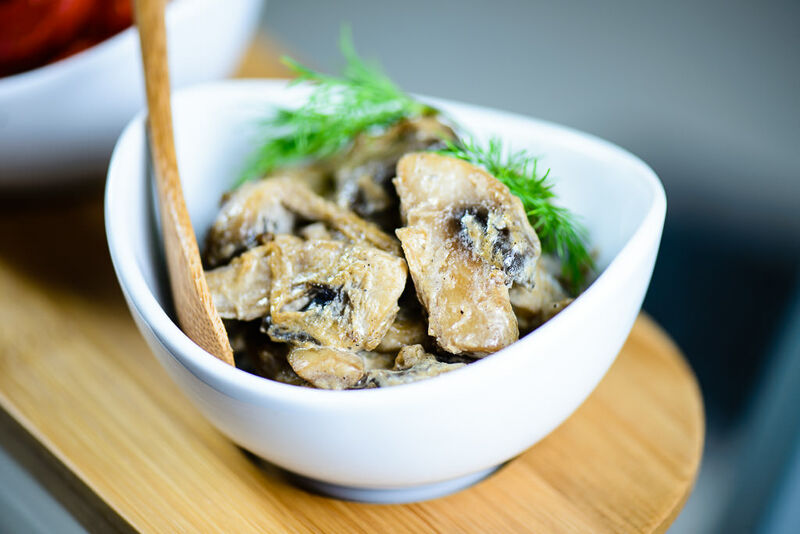 Thank you for visiting out food blog! Hey, I tried this recipe with shiitake mushrooms and also with brown button mushrooms. It was more delicious with shiitake mushrooms. Thank you!